Who would of thought a cookbook solely about biscuits would grab such an interest in me. Nathalie Depree's Southern Biscuits cookbook did just that. You can find every biscuit imaginable. From the traditional ones all the way to the outlandish ones. She goes in great detail on all the ins and outs to making the perfect biscuit. I have always been a big fan of her in her television days on PBS in the 80's not to mention all of her many cookbooks. 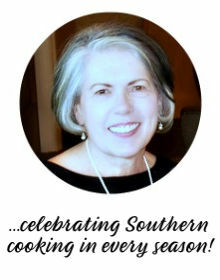 You could say, she is my all time favorite Southern cook. Nothing says Southern better than a good old Southern biscuit recipe. I am a traditional Buttermilk Biscuit girl myself, but these Cream Cheese Biscuits are close behind being my favorite. They are light and fluffy enough to spread with your favorite jams or jellies. 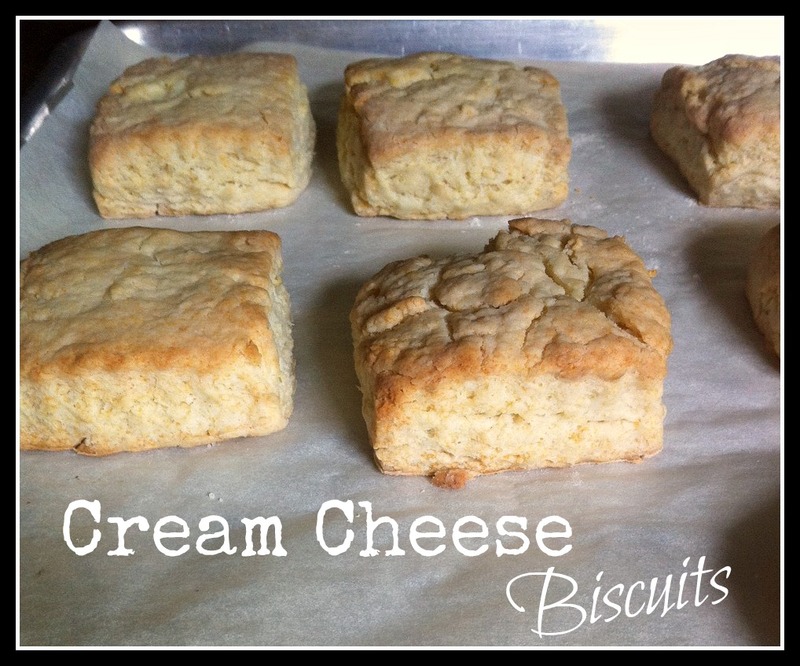 This recipe maybe more labor intensive than regular biscuits, because of the mixture of the cream cheese. I found that you just need to take your time and use the wonderful directions in the recipe. This particular day we ate them with some Homemade Peach Butter. These would be delicious using fresh herbs and savory seasonings. Pulse together the cream cheese, 2/3 cup butter, and 1 cup of flour two or three times in food processor fitted with the knife or dough blade until it comes together in a ball. Turn the dough out onto waxed paper and divide into two rounds. Flatten. Wrap in waxed paper, plastic wrap, or resealable plastic bag, and refrigerator for at least 30 minutes. Lightly sprinkle a board or other clean surface using some of the !/3 cup reserved flour. Sprinkle the top lightly with flour. With floured hands and floured rolling pin, roll out one portion of the dough at a time to about 1/4 inch thick. Fold the dough over to make it 1/2 inch thick. For each biscuit,dip a 1 to 1 1/4 inch biscuit cutter (I used a larger one) into reserved flour and cut out the biscuits, starting at the out side edge and cutting very close together, being careful not to twist the cutter. The scraps may be combined to make additional biscuits, although these scraps make tougher biscuits (I didn't notice this). Roll out the second portion when ready to bake. Using a metal spatula if necessary, move the biscuits to an ungreased baking sheet lined with parchment paper, placing the biscuits 1 inch apart. Refrigerate the biscuits for 10 to 20 minutes until cold. Bake the biscuits on the top rach of the oven for a total of 10 to 12 minutes (longer if using larger biscuit cutters) until light brown. After 6 minutes, rotate the pan in the oven so that the front of the pan is now turned to the back. Continue baking another 4 to 6 minutes until the biscuits are light golden brown. When biscuits are done, lightly brush the tops with butter. 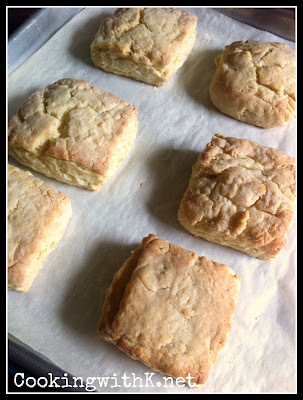 Cook's Note: Biscuits maybe frozen, unbaked or baked, and reheated. If baking without parchment paper, make sure they do not brown to much on the bottom. 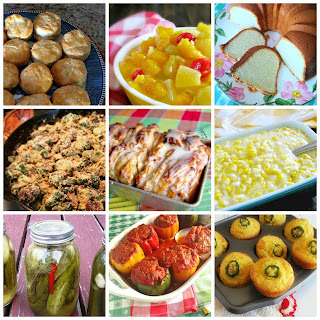 Your Biscuits are going to be perfect with that great Peach Butter you made, yummy! Hope you are having a great week and thank you so much for sharing with Full Plate Thursday. Oh my...the addition of cream cheese is genius! I love cream cheese :) Thanks so much for sharing! These sound great! I've pinned the recipe. Thank you for sharing it. This look and sound wonderful. Visiting from Tip Junkie. I have GOT to make these soon...they look terrific. 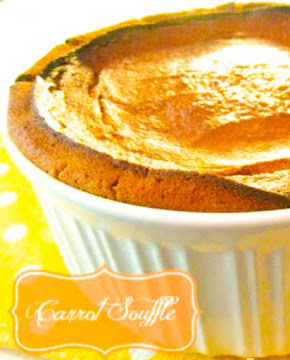 Thanks for sharing another winner recipe! SO yummy! Biscuits and me, we're BFFs. I need to give these a try. Thanks for sharing!